Drinking green smoothies regularly can help you lose weight, improve energy levels, reduce craving for bad food, and make you feel awesome! 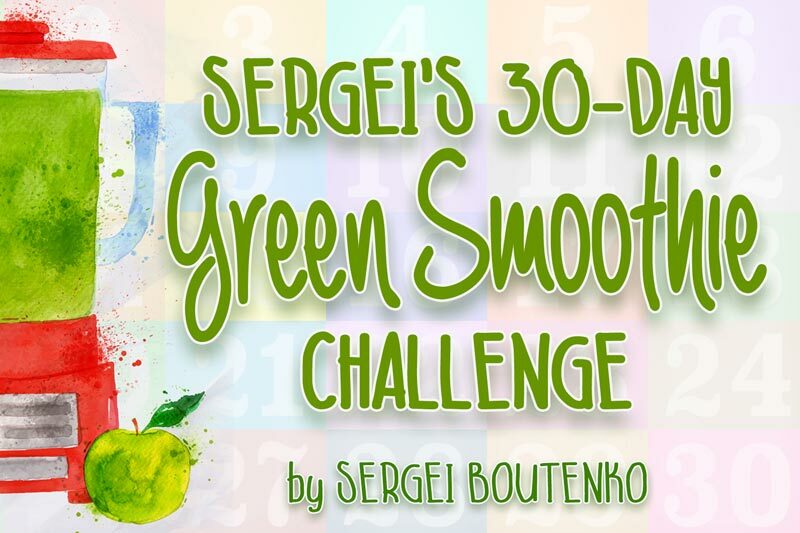 The new and improved 30-Day Green Smoothie Challenge brings you yummy smoothie recipes, detailed ingredient shopping lists, and valuable tips and tricks that will help make your new healthy habit stick. Give it a try; you won’t regret it! 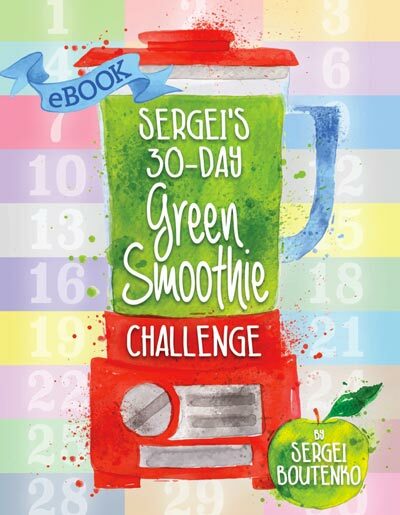 In an effort to help folks get healthier with minimal effort, I recently produced a feature-length film called: “30-Day Green Smoothie Challenge.” The main purpose of a 30-day green smoothie challenge is to motivate you to take charge of your health in a manageable fashion. I believe that anyone who completes this challenge will feel happier and healthier after a month of regular smoothie consumption. The challenge is super simple and straightforward. 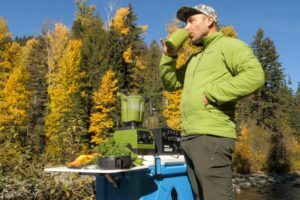 All you have to do is drink one quart (or liter if you’re in Europe) of freshly made green smoothie everyday for one month in addition to your pre-existing diet. It’s as easy as that! You don’t even need to plan a far-off start date; you can begin any day you please. In fact, just hopping into the challenge on no day in particular, produces fantastic results because it tricks the mind out of procrastination and wishful thinking. Have you ever found yourself daydreaming about starting a new diet, and then planned it out to such an unrealistic degree that when it came time to begin, you put it off for days and months? I have. A lot. Most recently I did it with jogging. A few months ago, I decided to start running. Instead of starting slowly, I decided that 30 miles a week sounded good. I made it my new goal to run five miles a day, six days a week. Instead of starting gradually with say, three miles a day a few times per week, I got caught up in my idealistic illusions. As a result, my new running routine lasted one week and I haven’t gone jogging since. In observing myself, I’ve noticed that striving for perfection frequently kills my progress, ambition, and willpower. Perfection is daunting and stressful. So do your best to allow imperfection. Go easy on yourself and start small. Begin by drinking a quart of green smoothie daily. Don’t worry about changing other aspects of your diet, just focus on drinking one smoothie per day. Once you master this practice, go ahead and make other lifestyle adjustments (i.e., eat healthier food, drink less coffee, exercise more, etc.). The video includes exciting smoothie recipes, convenient ingredients shopping lists, and tons of helpful tips that will ensure success. Should you need more guidance, I’ve put together a satellite eBook, which conveniently lays out every aspect of the challenge. I recommend saving the eBook to your favorite device so that it’s always close when you need it. For example, if you save it to your smart phone, you’ll be able to access the ingredients shopping lists and smoothie recipes at the grocery story next time you go food shopping. Get the 41-page eBook for $15 below. 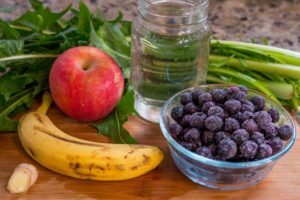 Nature Green Smoothie | Effort = Happiness!